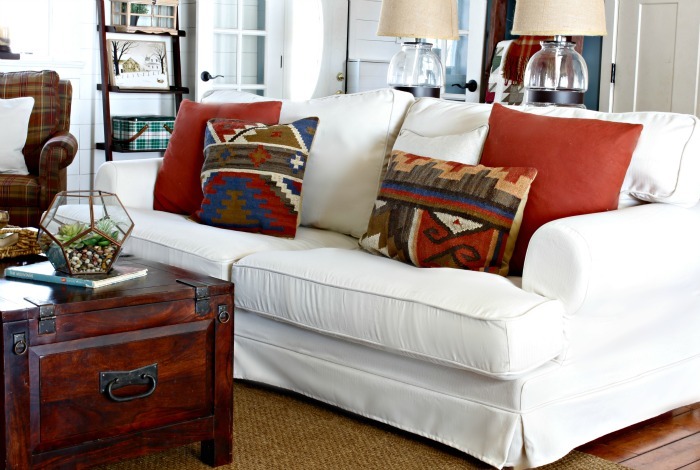 depth and height of the sofa to get a custom slipcover made for your sofa." Unfortunately that would be a universal slipcover, which is typically made of elastic fabrics that will cover your sofa completely, and not individualised for each cover. The problem is that it just ain't pretty. 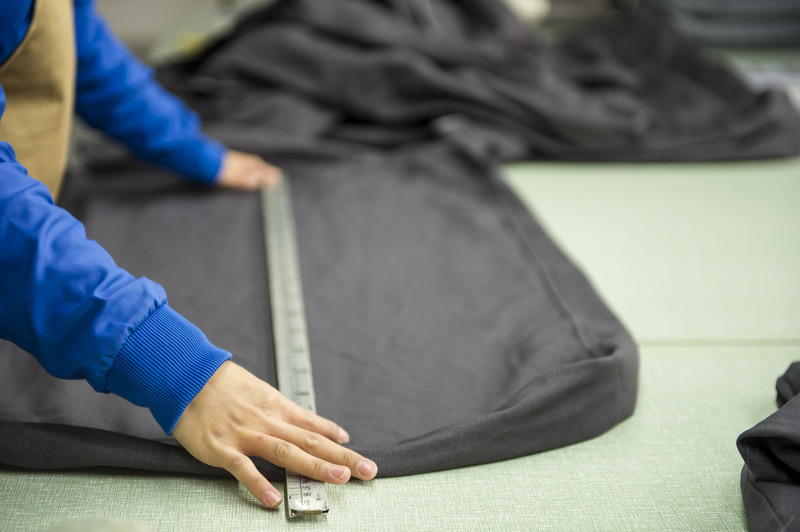 So we'll need to take more measurements and although that may seem daunting, we'll break it down in this guide so that you will always get your measurements right no matter what. "The curvier the sofa, the more measurements you'll need" - is what I always say when people ask me how I measure my sofa. So you'll need to know what sofa you have firstly, and how many extra parts need to be measured so the slipcover fits like a glove. Some seating frames extend forward beyond the depth of the armrests. Typically this would also result in having L-shaped seat cushions. We're able to slipcover either round, square or wedge shaped armrests. The simplest armrest shape would be the square ones. The standard ones are the high back, round back or the straight (a.k.a. Tuxedo) back. The straight back would be the easiest to measure. To give you an idea of how many measurements are needed for your sofa, the simplest one would be a sofa with boxed seat cushions, square armrests and a straight/tuxedo back. That would require about 17 measurements, whereas the maximum would be around 29 for an L-shaped seat frame, round arm and high back sofa. For this demonstration we'll be using a box-seat, wedge arm sofa with a tuxedo back. It's good to get a friend to help out with measuring the longer parts of sofa; Ensure that everything's measured seam to seam and keep figures rounded to the nearest 0.5cm or quarter of an inch. While there's no need for a set-square, try to ensure measurements aren't slanted - having a second opinion would definitely help. Once you're done with the back frame, move on to the inner portion of the armrests - this is typically referred to as measurements B1 or B2 at Comfort Works. Next up would be measuring the front portion of the armrests, width and heights primarily. You'll realise that it's actually quite an intuitive process - moving from the top of the frame, to the side and then finally to the bottom. Usually for a square arm sofa, the width of the sofa base is the last measurement. However with the round and wedge arm sofas, you'll need two more lengths of the armrest as seen below. From the front, we'll be able to easily transition to the side measurements. The front usually has the bulk of the measurements so measuring the side and back of the sofa becomes quite straightforward. If you have a round arm, high back sofa then it'll just be an additional 4 measurements at most. 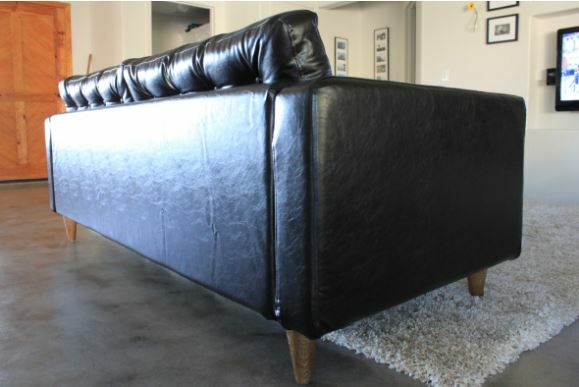 The sofa leg height is usually measured if you're going for a look where the slipcover does not touch the floor. If you're going for a long-skirt, then you can safely ignore the sofa leg height (H3) and provide all vertical lengths to the floor instead. If you're confused, just let us know what style/look you're after and we'll send you the corresponding form accordingly. Finally, you'll be able to go full circle as measuring the back would probably take you less than 2 minutes to finish. The most important thing to note here is that your measurements at the start make sense - for example, it's safe to assume that the maximum base width (D) is similar, if not identical to the lower sofa base width (L2) measured from the back. Otherwise, this means there's some kind of taper. However, the front can be slightly wider usually so don't be surprised if there's a bit of discrepancy. We'll let you know if we find that the measurements don't make proportional sense with the photos provided. The last tip to note, is to stick the measuring tape to the sofa instead of having it float if you want a more upholstered look. If you're going for a relaxed look with a skirt, then your vertical measurements can be perpendicular to the floor. Measuring cushions is actually the easiest part of the process - if your cushion is a perfect box, all you need is the width x depth x height sometimes. For example 50 x 60 x 12 cm. Lastly, there will be cushion covers where there's no seam at all - which can be fairly annoying. The good thing is that there's a zipper which sets a boundary and in order to measure, you'll need to go around the entire cushion to measure its circumference. The likelihood of this happening is rare, but do let us know if it does and we'll help you through it if needed. And that's pretty much it - measuring your sofa would take about half an hour at most. Once you've filled in your measurement form, we'll check this and let you know if there are any further issues. If you're stumbling upon this for the first time, you can learn how to get your own custom slipcover made from scratch here.